Budget travellers the world over will tell you the best experiences they had were the ones they stumbled on by accident – an artsy café on the cheap side of town, a new favourite band discovered in an underground dive bar, a little known attraction hidden down a side street – experiences that would not have happened if they had stuck to the luxury hotels, glitzy restaurants and expensive guided tours. The same is true in the Okavango Delta. When luxury safaris and exclusive lodges are taken off the table something magical happens; travellers are forced to be imaginative. In doing so, they have much more intense, personal and memorable experiences. Mbiroba Camp is one of these places, or rather a collection of places, where backpackers can have a totally unique and completely inspiring experience. 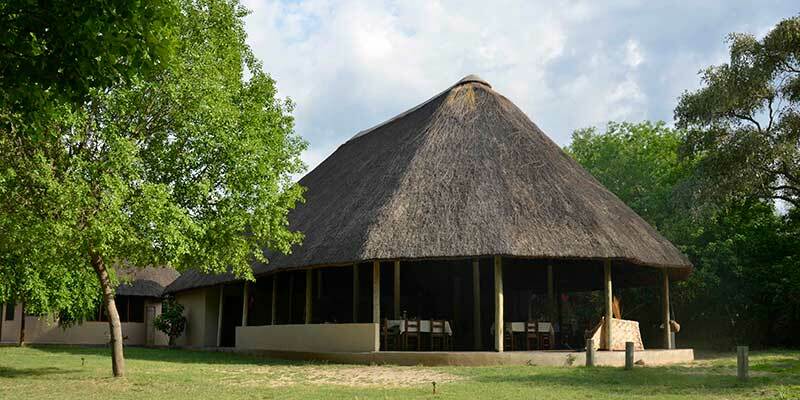 Mbiroba means 'bush camp' in the language of the local delta people, and true to its name there are a series of just such bush camps connected by the vast Okavango Delta, run by the Okavango Poler's Trust. It is far more than just a campsite however – it is a community run project that brings together travellers and locals for the benefit of all. The biggest attraction by far are the river tours, conducted in traditional mokoro (canoes) that bring you up close to the amazing wildlife of the delta, but the camp itself is also a place where you can experience traditional African life, from music and dancing to delicious food and beautiful craftwork. Mbiroba Camp’s main site has accommodation across five chalets, with bathrooms, outdoor showers, solar water heating and lighting. If your budget can’t stretch that far there are shaded camping areas with wash facilities, heated water and laundry services. Tents, sleeping bags and mattresses can be hired from the camp. There is also a small shop and a large relaxation area complete with bar and restaurant. A more exciting, and authentic, way to experience the Okavango is to leave the main camp and pitch a tent on one of the delta’s many islets. This is real bush camping, so you will need to bring everything you need to survive when you are dropped off by one of the local polers. These experiences might be basic, but bring you back in touch with nature and give you the best chance to come face to face with the amazing animals that call the delta home. The area you will be travelling and camping in is not a game park or zoo. There are a lot of animals in this area but they roam wherever they like and you never know what you will encounter. The real attraction of a mokoro trip is the experience of travelling in the mokoros and seeing how the people and animals who share this community live in the same way that they have for hundreds of years. Encounters with animals are never guaranteed – that is what makes them so special when they do happen.